How long does it take to grind food waste? Depending on which disposer model and what you are grinding, it can take anywhere from a few seconds to a few minutes. The sound of the disposer will change when there is no more food in the grind chamber. After all food waste is ground, turn off the disposer and let the water run for about 15 seconds to flush out the grind chamber. Does the disposer require any maintenance? No. 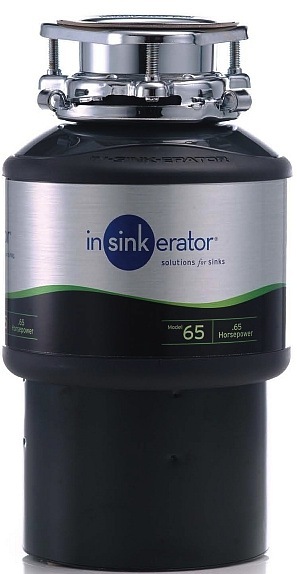 Your disposer is designed to be maintenance-free. Regular usage is the best way to keep your disposer in good condition. Do not attempt to clean the disposer with drain cleaner or abrasive cleaners. 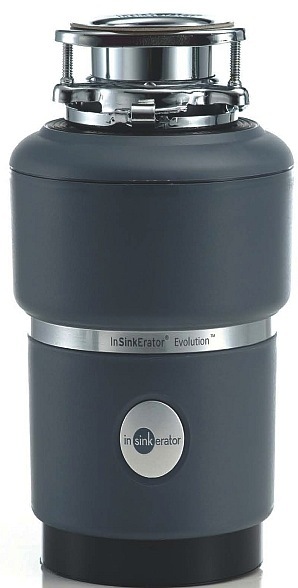 The food waste disposer is emitting an odour? Over time, food particles and grease may accumulate in the disposer grind chamber and around the baffle, which may produce an odour. To freshen it up, occasionally clean the baffle and place a few spponfuls of sodium bicarbonate into the disposer. For extra freshness, try grinding a lemon or citrus fruit for a few seconds without water. Do not put bleach into the disposer. If you are sure there is power supplied to the unit, it is likely that the overload protector has activated to protect the motor from stress. With the power switched off, check inside the disposer and remove anything that may have fallen inside, like a metal utensil. Then press the reset button on the base of the disposer. If the disposer still does not function, check your fuse box or circuit breakers. Something is preventing the shredder plate from turning. Turn the power off and remove any hard objects from inside the disposer. Insert the wrenchette/ Allen key, which comes with every disposer, into the socket under the base of the disposer. Turn the wrenchette/ Allen key backward and forward until you can turn it 360 degrees. Remove the wrenchette/Allen key and turn the disposer on. Turn the power off and check inside the disposer. Make sure that the two metal impellers on the rotating shredder can rotate 360 degrees. If they are stuck, try tapping the impellers with a wooden tool or utensil to allow them to swivel freely. Or try grinding a hard bone or fruit pit to help free the impellers. What if I can’t solve my own problem?